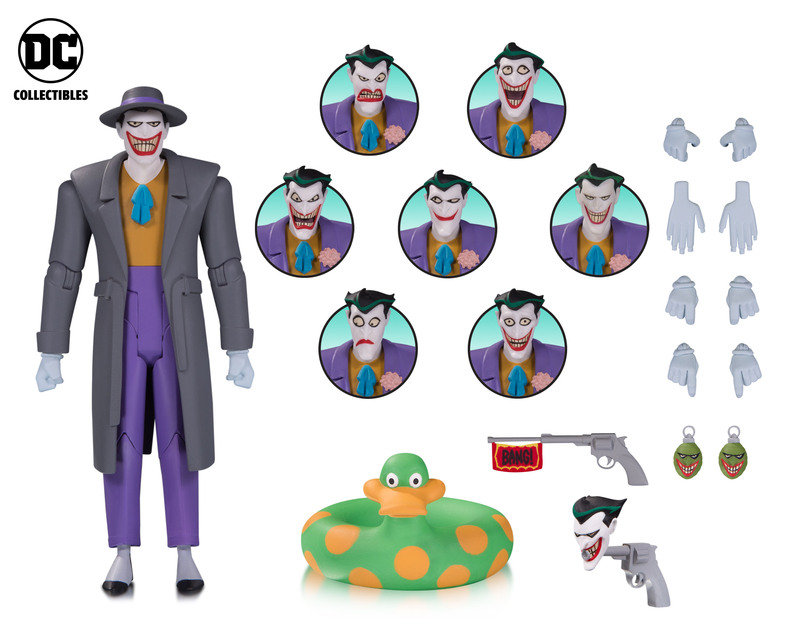 DC Collectibles has released a look at their upcoming deluxe Batman The Animated Series action figures featuring The Joker, Harley Quinn and the Jokermobile. That’s right, a damn Jokermobile. 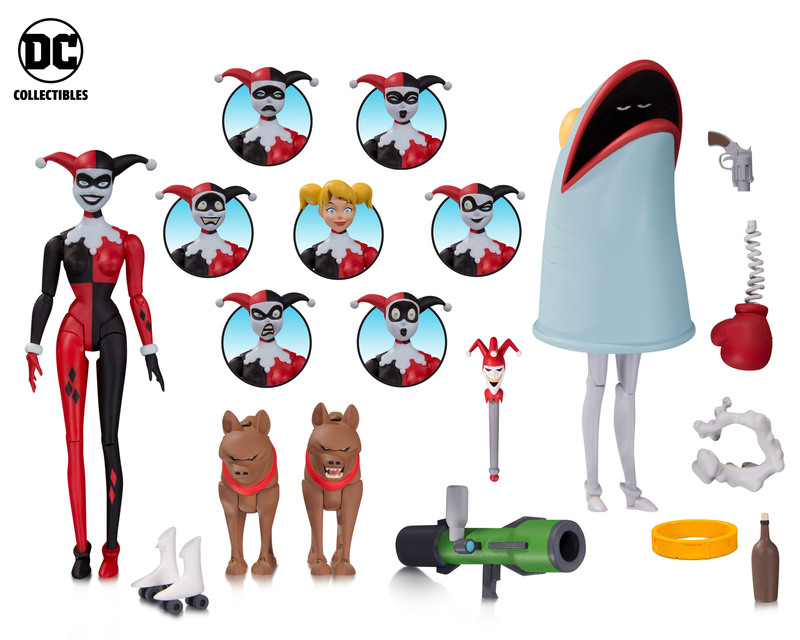 Fan-favorite Batman: The Animated Series (BTAS) action-figure line will debut two new villainous offerings in 2018 including a Harley Quinn Expressions Pack and a Jokermobile based on its infamous appearance in the 1990s TV show. 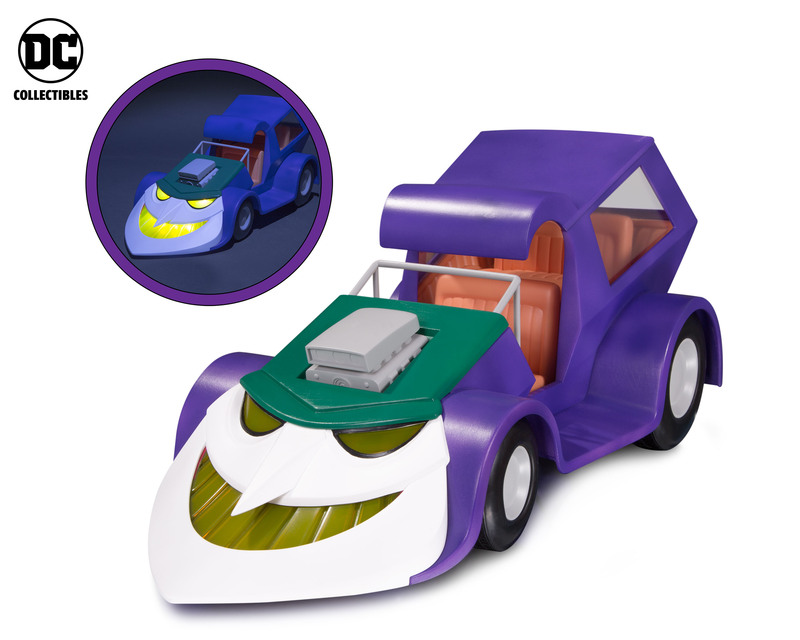 Scaled to fit 6” BTAS action figures, the Jokermobile will have working wheels and several light-up features–a perfect mode of transportation for the clown prince of crime. Expect these Batman The Animated Series action figures to be available sometime 2018 from DC Collectibles.